Totally gorgeous! I'm not familiar with the other ones but this is fabulous! this one is really great!!!!!! love it! 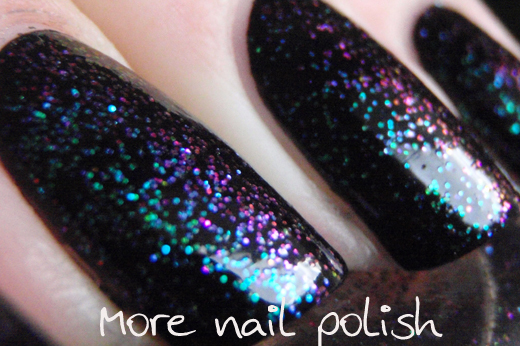 That has to be one of the most beautiful nail polishes ever. Oh I love this one. So, so beautiful. 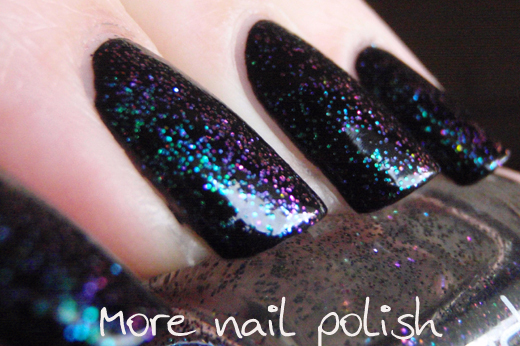 You find the most gorgeous polishes!!! i would just stare at my nails all day. This looks great! This is one of the glitters I revisit the most, it's amazing! I have 530 and took a while to get it but in my eyes it's as amazing. I want to get 529 next. Smaltoitaliano - You've got nails swatches are beautiful, and because of her pics I chose this one. I'm so happy I did, I prefer cool colours too. Jia - I would love to see #529 on your nails. alexandrarc - maybe I should get the other two. I just don't know. I think I need to look more at other peoples swatches. Thank you so much for doing this, I appreciate it sooo much!!! I just posted 530 on my blog and have posted 528 before. I actually loved 530 just as much as 528, it is amazingly beautiful! Unfortunately, I don't own 530 (I borrowed it from a friend), but I will definetely buy it eventually! 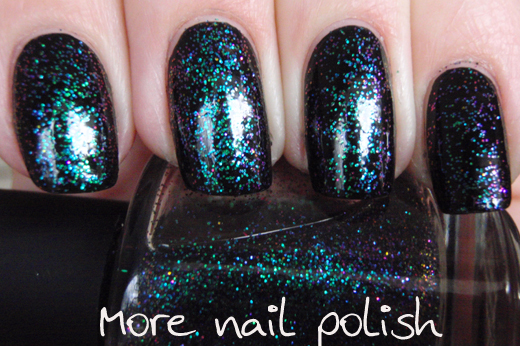 As well as 529, which I didn't have time to swatch but looked really nice in the bottle when I saw it.